Our pizza dough is made in-house. 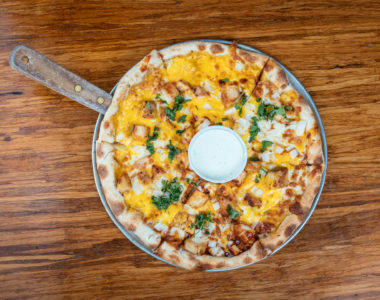 Each pizza is hand tossed, loaded with savory ingredients, topped with an abundance of cheese, and baked to perfection our convection oven to give you that dynamite taste. 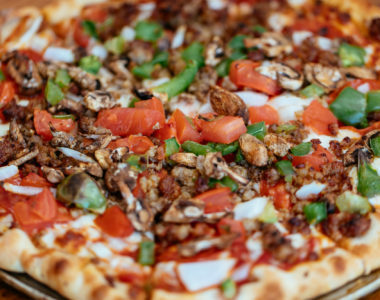 Choose from one of our specialty pizzas or create your own masterpiece! Post a picture of your favorite pizza to social media using #PostCravings for a chance to win a free pizza each month for an entire year!